What I love about winter is ... nothing. Well, maybe just the mulled wine. But that I can also drink cold in spring, for example, and it tastes just as good. So, yes, if winter could be wiped out of the calendar I'd be really happy with less seasons and temperatures between 15°C and 25°C. As you can see everything is white. You might think that's nice, but this snow will stay here untill March. That if it won't snow again, then we won't get rid of it untill Easter which is in April. What a pleasure to take photos at minus 8°C, right? At least I have a cozy sweater to keep me warm (You can find it here). I really like my new beige sweater with little dots of color. Beige (and earth tones in general) can be quite dull, but not this one cause it has little splashes of yellow, orange, burgundy, blue, green in it. It also has a longer back but I wasn't able to show to you as I literally froze after 2 photos. But at least I was smiling for you, guys! I also have other ideas on how to wear it, but I'll have to wait for warmer days, which won't happen soon. Till next time when I'll be back with a new round of my adventures in the snow! Oh que bonitas fotos con la nieve, la chaqueta es preciosa, besitos linda. Love your sweater & your look is amazing!! I love the first days of winter, the rest not so much. This is a wonderfully cozy and chic outfit, love the cute sweater. Un bellissimo look da neve!!! Amazing look for winter! I really like your sweater is very cute! Love this outfit! 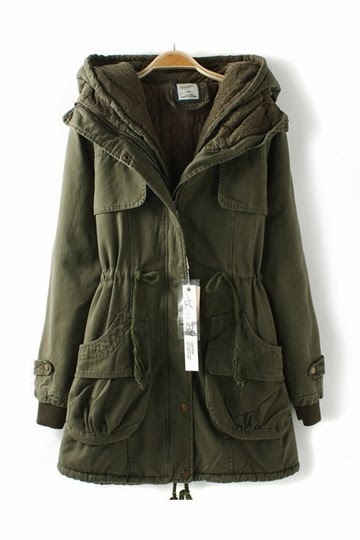 It is the perfect way to stay warm and stylish. Beautiful outfit!! It suites you so well!!! adore your sweater and bag! I love that outfit perfect for some cold days! Love the outfit, all the clothes are great! I love your satchel. Stay warm! Love your outfit. Perfect for the cold. Your outfit is adorable! 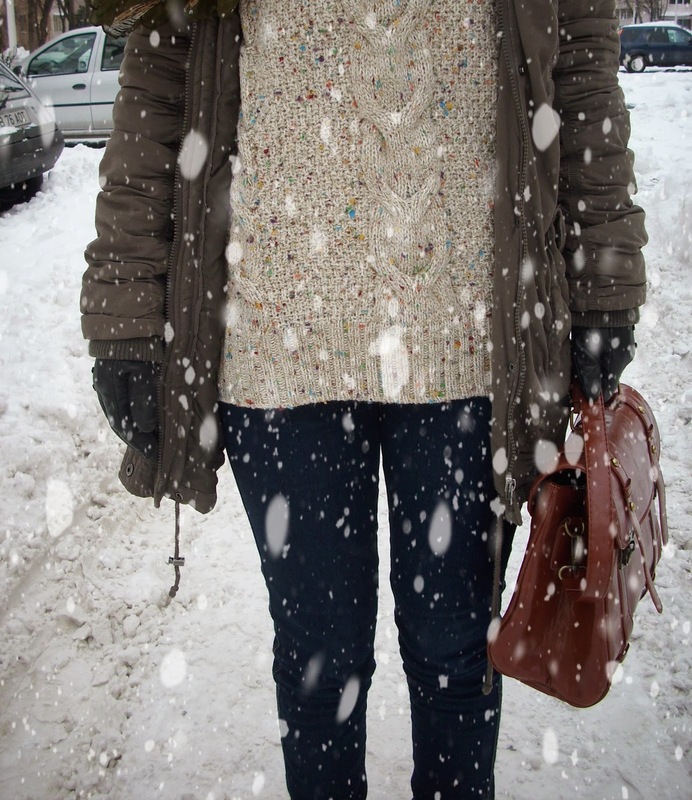 I really love your sweater and all that snow looks beautiful! Love your sweater, so cute! 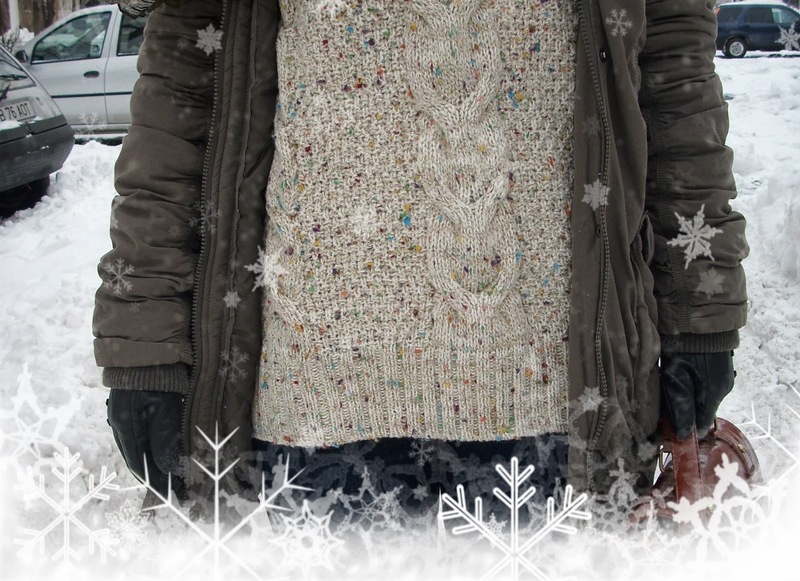 I want that sweater, I am a huge fan of chunky knit sweaters! This is such a great combo! Love your jacket!! i can't.imagine being.in such a cold weather, i hope.to see the snow.one day! cute pics! You're looking so warm! Cute jumper! I'm following you now, hope you'll do the same. 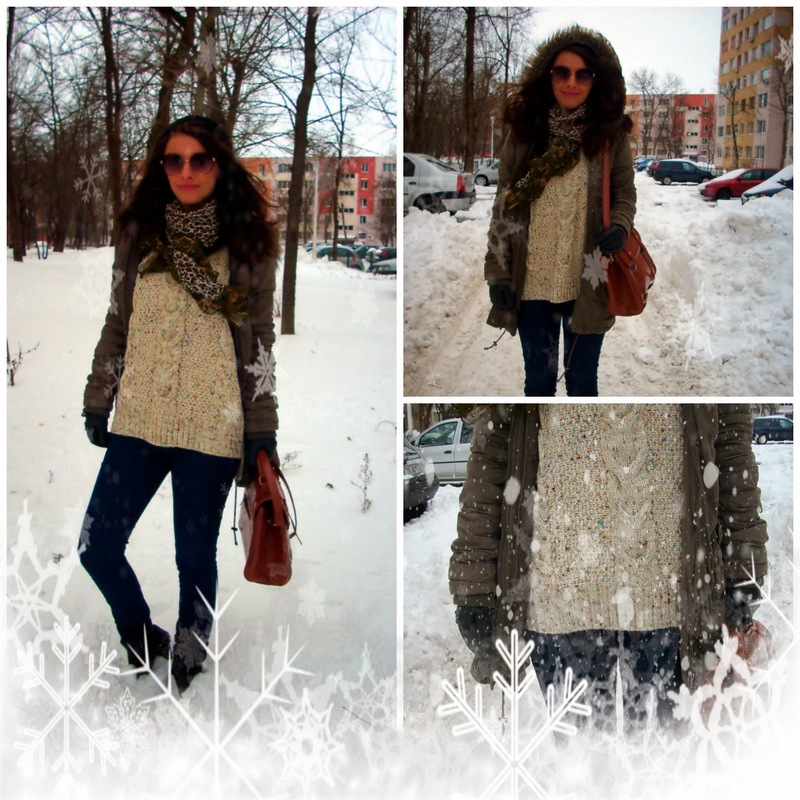 Perfect outfit for such a snowy winterday! Good photos and nice landscape! Perfect look for the ocasion! Seriously IN LOVE with your sweater! Although, you look stunning on the snow land. Kiss. nice bag color and model darling,love that look! I definitely know what you mean! I couldn't be happier if there was no winter where I live too! I like snow a lot- in the first day, but for more than 3 months? No, thank you! your sweater such a beautiful! Love the outfit!